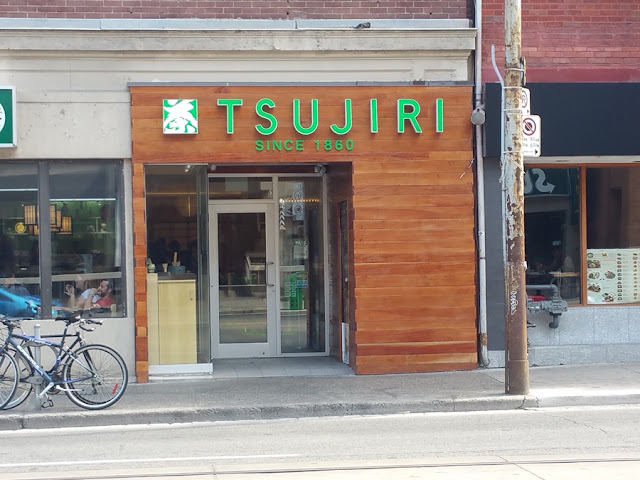 Tsujiri, the all-matcha menu cafe bakery opened its first shop in downtown Toronto on Dundas Street West near Bay. 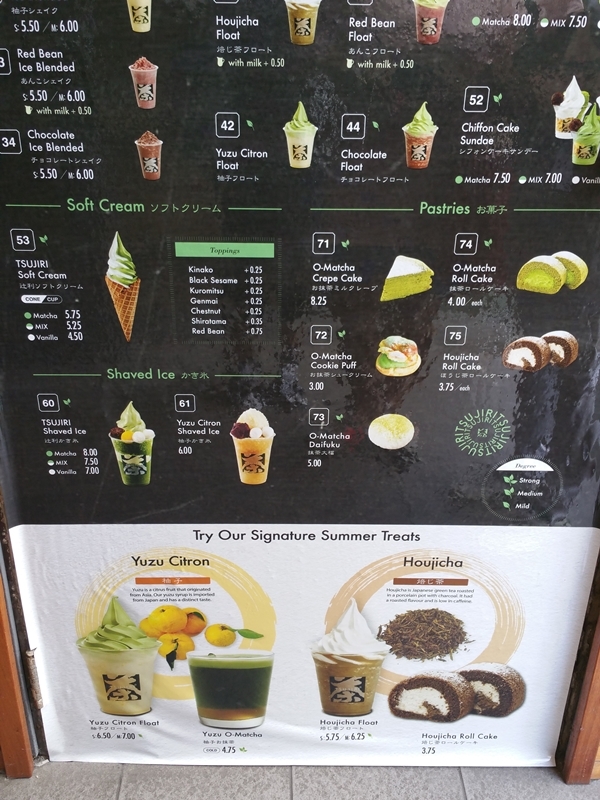 The shop sells everything matcha flavour from lattes to soft serve ice cream to macarons and cakes. 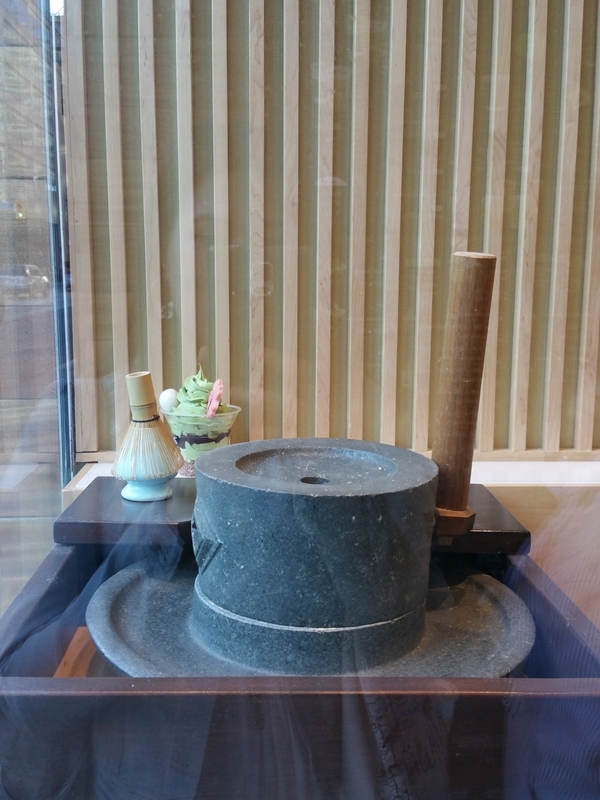 The shop which is originated from Kyoto Japan has a history of 156 years! 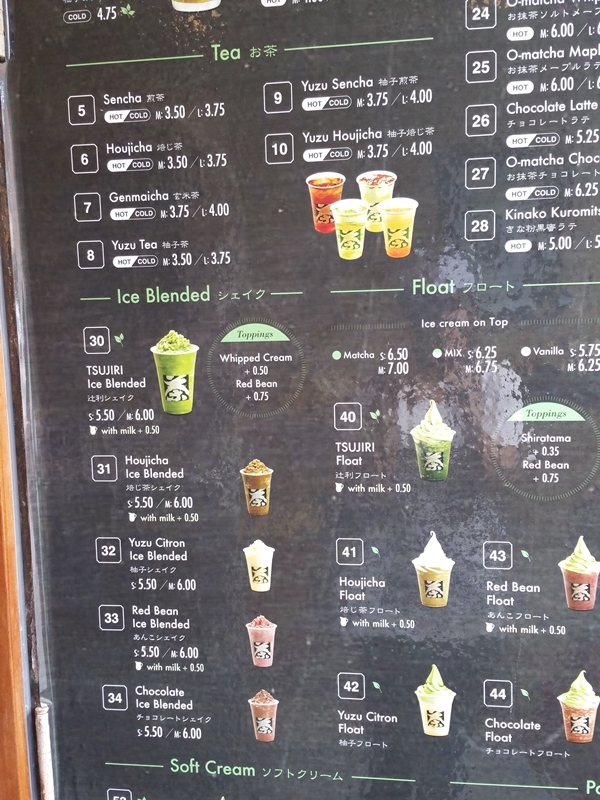 All drinks and desserts are made with products imported from Japan. 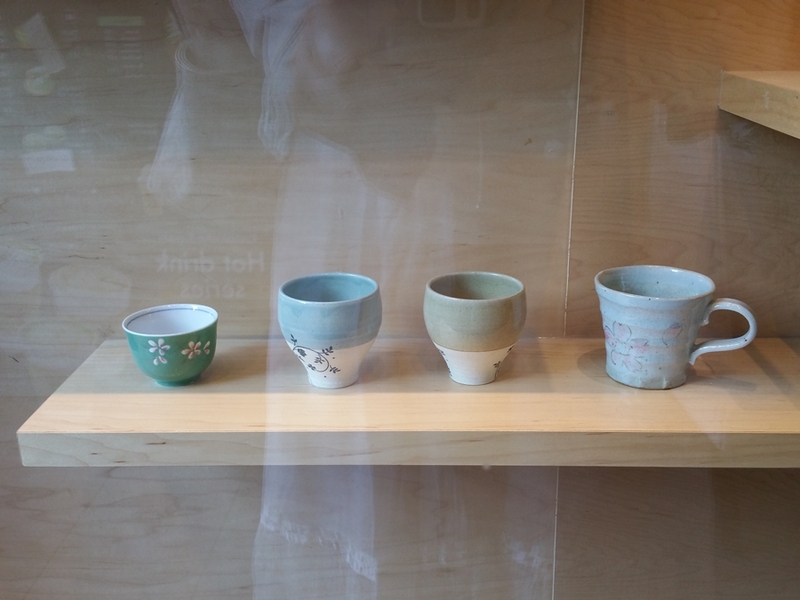 During the summer there was always a long lineup outside of the shop with customers lining up to buy ice cream. 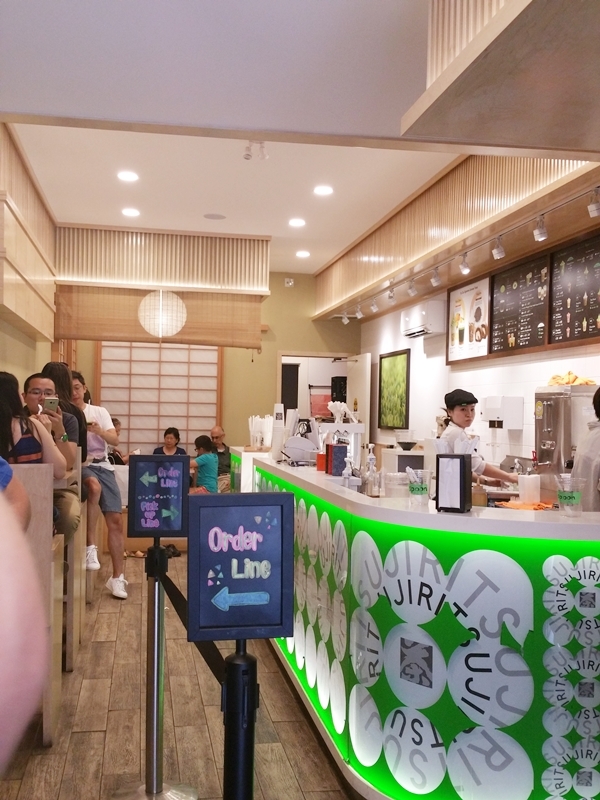 Until today there is still a line of customers everyday. The shop is actually quite small with very few tables and seats to sit. You'd be lucky if you are able get a seat. 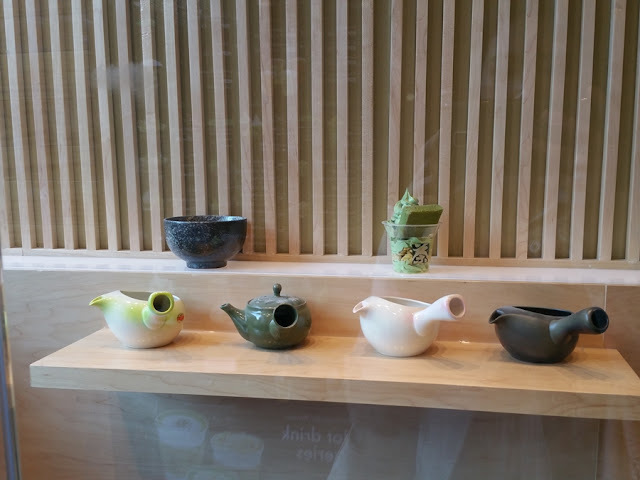 I only got to sit at table once out of all the times that I have been to the shop. 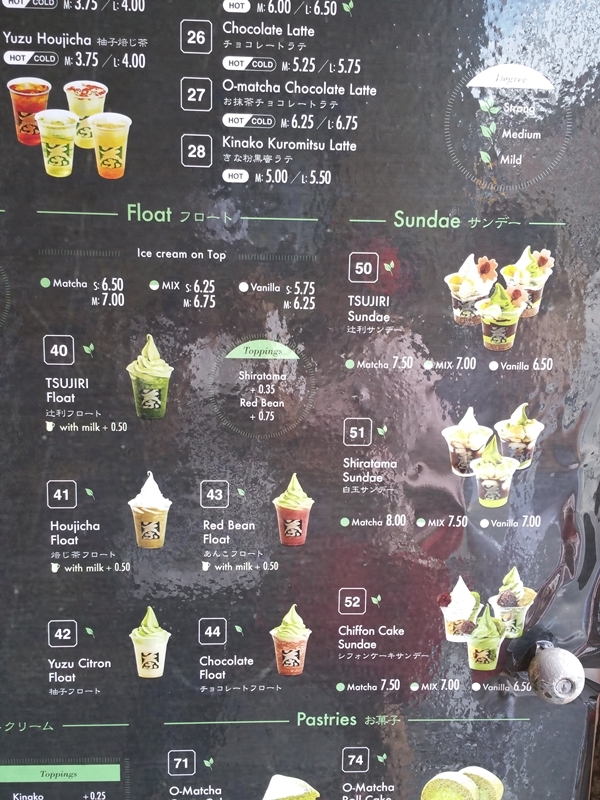 Their menu does change up quite often and there are a variety of drinks and desserts to choose from such as lattes, teas, floats, sundaes with soft served ice cream and some pastries like roll cakes and macarons and cookies. 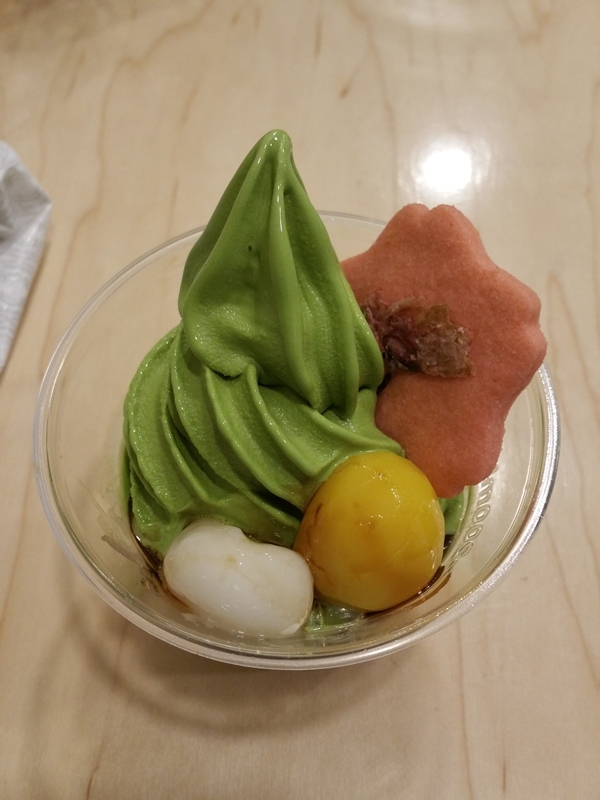 The Tsujiri Sundae is served with red bean paste on genmai at the bottom and matcha ice cream with shiratama and chestnut and a sakura flower cookie on top. 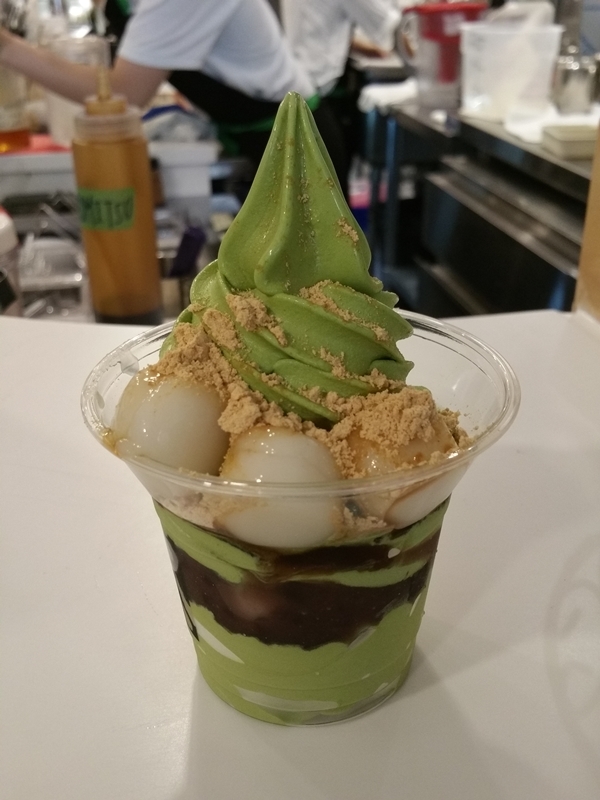 Tsujiri Shiratama sundae with red bean paste and mochi balls and matcha ice cream on top. 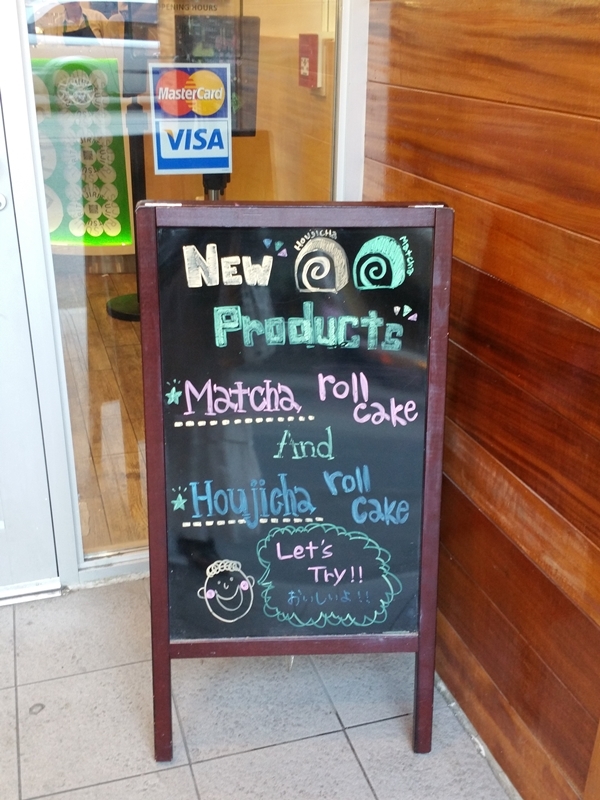 Also available in mix or vanilla flavour. 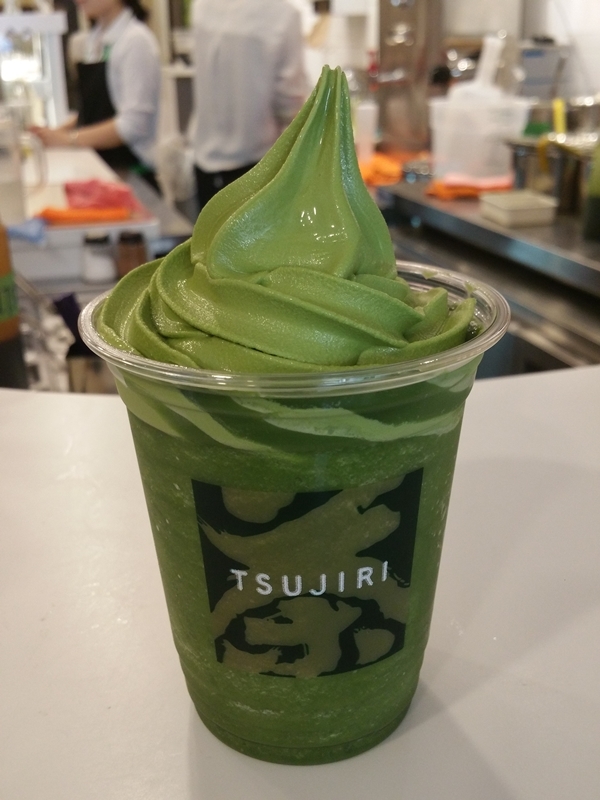 Tsujiri float in matcha flavour. 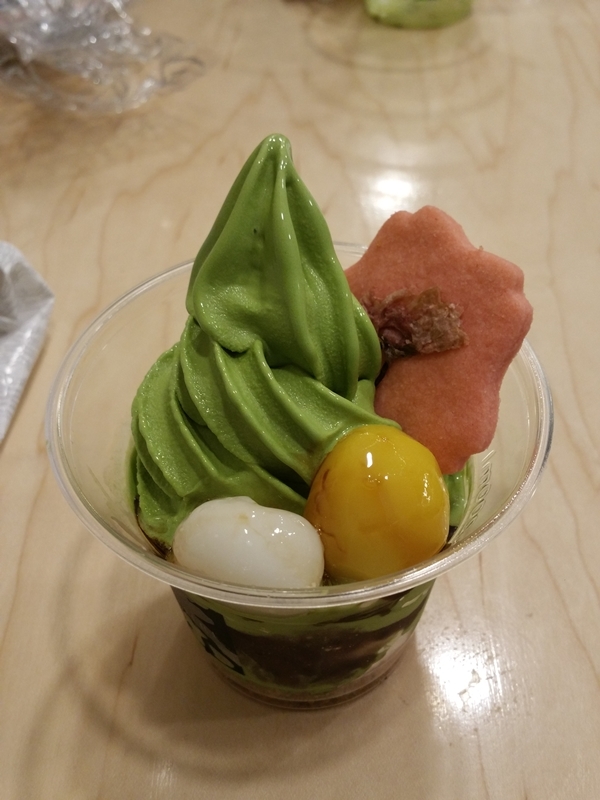 It's basically a blended ice drink with matcha ice cream served on top. 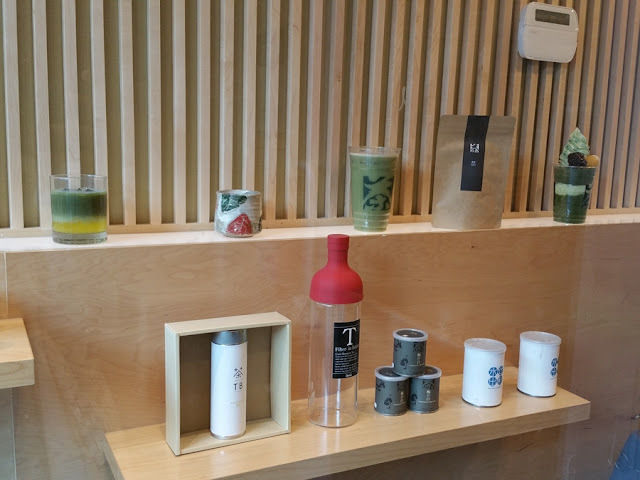 Overall review: I would highly recommend this place if you love matcha. 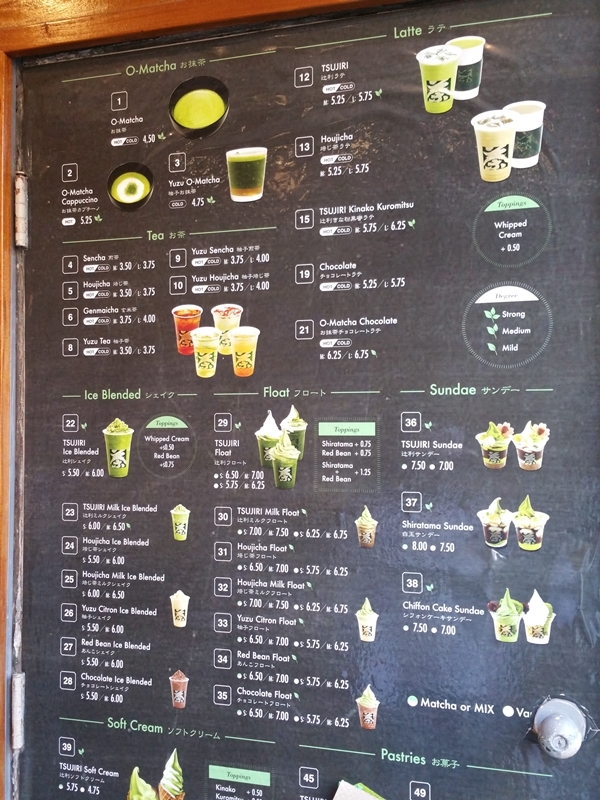 As a matcha lover myself, I can see myself coming back to the shop often as they do change their menu quite often. 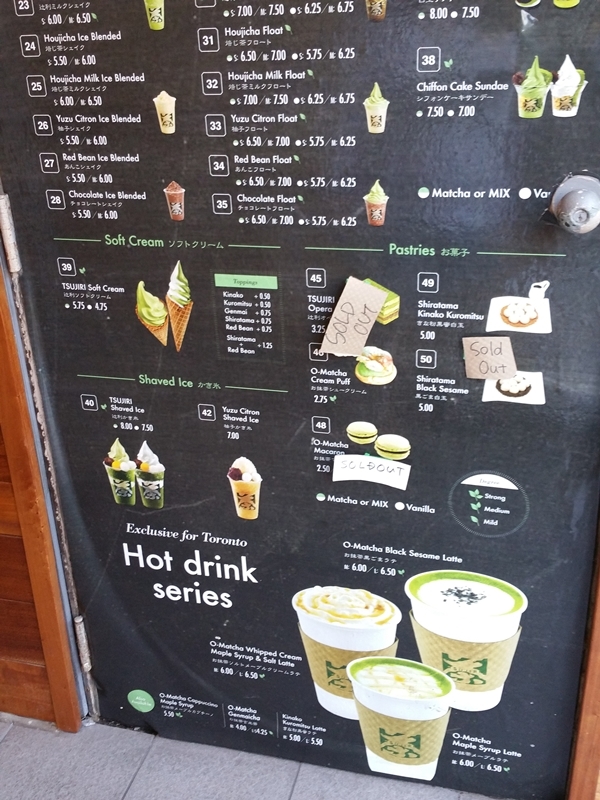 I'd love to try the lattes and some of the pastry baked goods.